Discover How to Become a Medium When You're Not Born That Way . . . Or Are You? 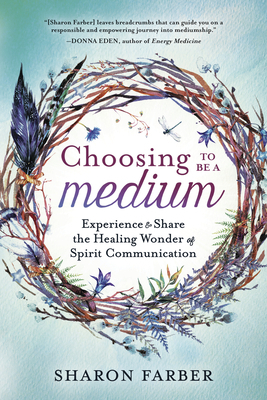 Experience the wonder of spirit communication first hand--even if you don't think you were born a medium. Sharon Farber shares her amazing story of becoming a medium through study, not birthright, and she reveals how you can become one, too. Featuring insights from Q & A sessions with various mediums, along with many ways to enhance your abilities--including setting intention, raising your vibration, trance work, meditation, and grounding--Choosing to Be a Medium demonstrates that anyone can connect with spirits on the other side. Sharon Farber is a massage therapist, healer, award-winning artist, medium, teacher, and the owner of Dragonfly Healing Arts in Pine Meadow, Connecticut. She gives mediumship readings and demonstrations, facilitates a mediumship development circle, teaches mediumship classes, and leads mediumship development retreats. Learn more about the author at www.sharonfarber.net.